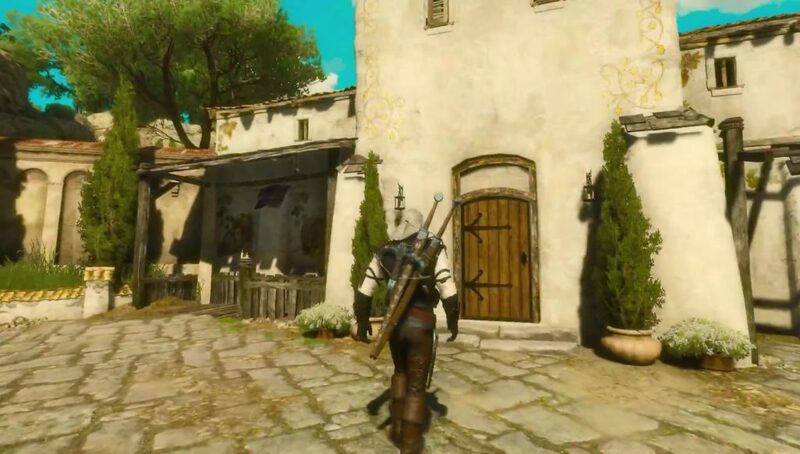 Corvo Bianco Vineyard is a location in The Witcher 3: Blood & Wine. It is an abandoned estate you’ll receive as a reward early on in the game, which you can then upgrade and model to your liking. This guide will show you how to upgrade Corvo Bianco vineyard, what you’ll get for each upgrade. If some other stuff in the game is giving you headaches, we strongly recommend browsing through our Witcher 3 Blood and Wine Walkthrough & Guides. Corvo Bianco is the first time we get to settle down in The Witcher 3. The manor and vineyard can act as a home to Geralt, where he can rest between adventures, prepare for new ones and invite friends to spend time with. You’ll unlock it pretty early on. The duchess will ask you to solve a monster problem and offer the old vineyard as reward. After you finish the quest, the estate will be all yours. You’ll be able to repair and upgrade it by following the No Place Like Home quest. The master bedroom can be decorated with trophies. These aren’t the regular monster trophies you get for slaying beasts – they’re special trophies obtained in special ways. There are three slots for placing them, at the foot of the bed. If you’d like to get them yourself, check out our guide on How to Get Trophy for Geralt’s Vineyard Corvo Bianco. If you want to collect some artwork for your estate, we suggest you check out our guide on Where to find paintings in Blood and Wine. You’ll also be able to decorate the house yourself, by hanging paintings and displaying impressive suits on armor stands. Pretty big spoilers, but after you finish the main quest a guest will come over. Who that guest is depends on your decisions in the main game. And lastly if you didn’t romance either and Ciri is dead, Dandelion shows up. How can you invite friends? It looks like you can’t. The guest room is for a special guest at the end of the game, e.g. you romanced Yennefer, Yennefer will appear. Well, if you romanced Yen or Triss, they will share room with you(when you decide to sllep in your bed they will wake up next to you). Ciri and Dandelion use guest room. Final upgrades never update. I have been waiting for several days (longer than what is stated in the quest info) for the stable and guest room. They don’t change much – a new bed in guest room and stables are still dirty and somewhat broken-down yet better organized. Stable hasn’t changed at all. Forgot to mention that in the quest notes that they are still open. Also forgot to state that the garden one is still incomplete. The stable upgrade grants you a bonus to Roach’s stamina after resting on your bed. Go to your bedroom and make sure you have this available to you. There is no option to rest on the bed even though I paid for a new one. Also I never left Toussaint. Be aware, there is currently a bug that upgrades do not show up when you leave Toussaint while it processes. Stay in the DLC area as long as upgrades are built. Did you travel outside of Toussaint in that time? There is currently a bug that if you leave Toussaint while there is work being done on your house it will never finish. do we get a return on our investment? like in crowns? So I added all the Armor Racks and started to proudly display all my upgraded Witcher gear. I was using the Leg Viper gear but as you can’t upgrade it to Grandmaster I stuck it on a rack. Came back the next day and its glowing bright RED!! If I take it off the rack its uncoloured in my inventory and if I change the colour of it this makes no difference on the rack as it still glows a very bright red. All my other upgrades are fine, everything else worked for me. Anyone else got possessed Witcher gear??? Anyone got this sort of mutated armor?? I have the same problem! Dunno what to do!!! and whats with this trophy places in Geralds bedroom? i cant place trophies there…can anyone help? They are for special trophies you can get from a few quest found around Toussaint, not your normal monster trophies. I HAve 2 tropies so far. One from the gwent tourney (B&W Skellige) and one from fistfighting. If anyone knows the 3rd I’d appreciate hearing about it. Without spoiling to much, you only get the quest to get the trophy if you chose to remove a curse from someone during the main quest. I had completed that mission all except for going back to the house and picking up the trophy. Will Toussaint be repaired after you finished the game? Because i want it to be beautifull again ! 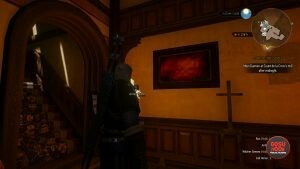 It wouldn’t let me hang the Portrait of Iris and Olgierd anywhere in the house. Don’t know about Starry Night or Hemmelfart though. Any idea what’s supposed to here? It’s driving me crazy!